The original Ultegra 5500 reels were lovingly referred to as ‘baby big-pits’ and broke the mould when it came to reel design and size. Many more have followed but the Ultegra, of which there are now several variants, remains one of the absolute best. This latest, top-of-the-range, lighter-weight Ci4 version boasts the kind of technology found in Shimano’s leading big-pit range, but in the compact 5500 size. Despite its rock-solid feel it retains a refined and super-smooth operation as well as impressive casting and cranking power, much more akin to its bigger cousins. If a reel can be a joy to use then this one certainly fits that bill. The Ultegra 5500 Ci4 is not cheap, but this is a seriously top-end piece of engineering with jaw-dropping looks to boot. 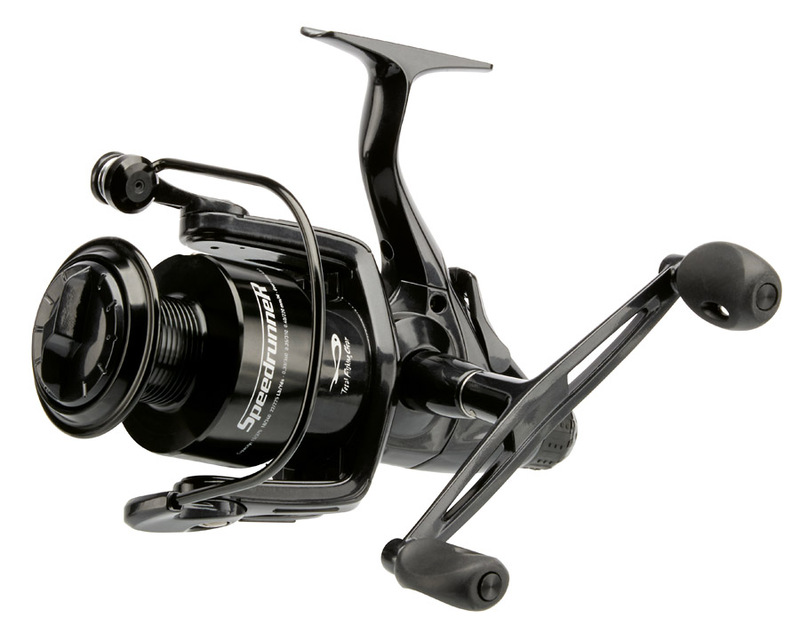 The FX9 has been around a little while now but remains, in my opinion, one of Fox’s best reels, mostly down to its sheer versatility and reasonable price tag. I like the reassuringly solid feel, which suggests a rugged build quality; not something you necessarily find on all modern carp reels. Lightness isn’t everything, despite some manufacturers’ claims. Despite its mid-sized design, the retrieve rate of 80cm per turn of the handle is up there with the best in its class, while casting is also aided thanks to the impressive line lay and spool design. One nice additional touch is the use of two line clips on the spool, allowing you to clip-up to a couple of spots at a time. Although also suited for use on traditional-length rods, the BP-6 really comes into its own when coupled with shorter wands down to 9, 10 and 11ft. In fact, Nash almost certainly designed these to be used with its Scope ranges, but they’re equally well suited to any short rod designs. Although the body boasts a compact build, the long-cast spool will still accommodate a healthy 230 yards of 0.30mm line so can be used on a variety of waters. The total matte-black finish will definitely appeal to many anglers, as will the folding handle. Okay, so we’re not talking the technological prowess of the Shimano or Daiwa reels here, but the BP-6 still performs as well, if not better, than most anglers will ever need it to, and at a fraction of the cost. In a similar fashion to the Nash reel, I love how understated the Riot is, with its ultra-matte-black body and subtle wooden handle. It certainly has a bit of a retro feel to it and I like that a lot. The price is also a huge plus point, especially when considering it includes a spare spool – great value indeed, particularly when buying more than one. You might expect that the reel itself falls short somewhere given the modest price, but it surpasses those expectations and then some. A smooth drag, decent cranking power and a generous spool capacity combine to make it a pretty impressive all-rounder, and at a price that will not break the bank. Okay, so this one only just sneaks into the mid-size category but I like it as it harks back to the old Shimano Baitrunner days, but at a fraction of the cost. The twin handle adds balance, while the rear free-spool facility is easy to engage as well as extremely smooth. The drag is also far better than you might expect and I like the fact that it allows for fine adjustment as opposed to being a super-fast drag affair. Hot off the press as we were compiling this, Mitchell’s latest carp reel comes in three sizes, the middle of which is the 7000. Complete with huge line capacity for upgrading to larger waters, as well as Mitchell’s free-spool facility, it epitomises the term all-rounder and, as such, is suited to a multitude of venues. 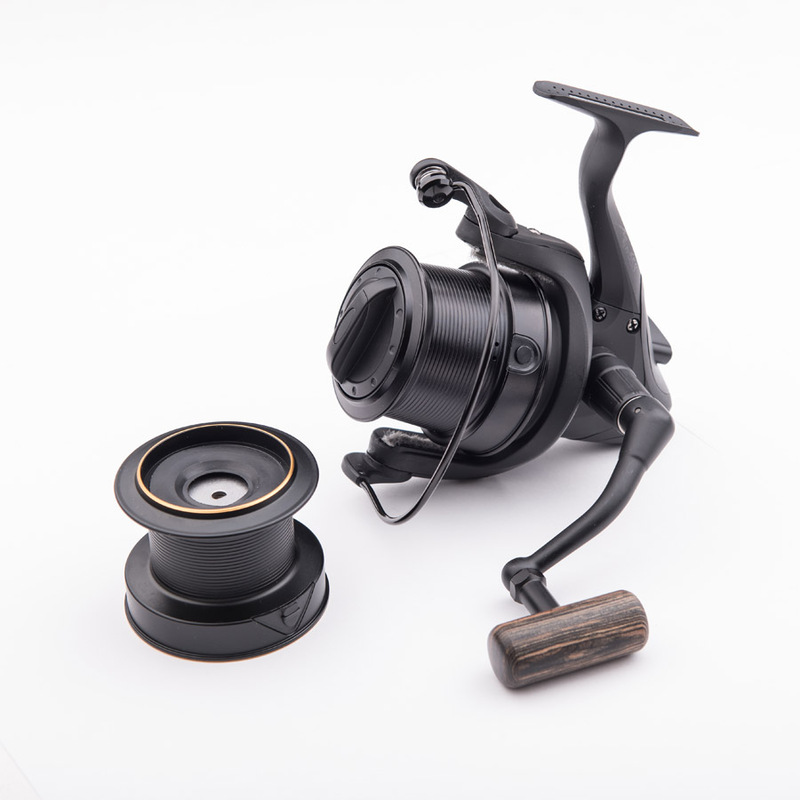 The understated black finish and wooden handle will appeal to the tackle tarts (and why not), while the performance belies its extremely modest price tag, especially when considering that most of us use at least two, usually three, reels. I should probably declare that I’ve owned and used a set of these reels (I’m not sponsored, I paid for them) since their launch and I absolutely love them. 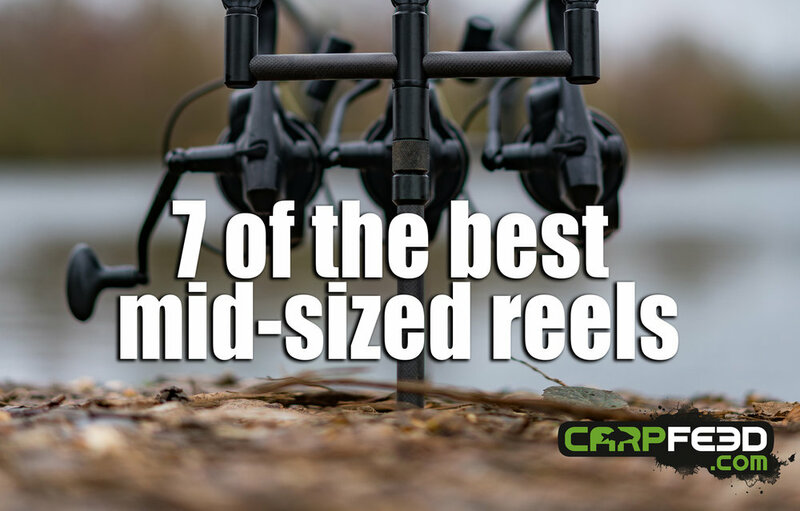 Although smaller than some of the other reels in this review, and certainly a long way from big-pit status, I’m genuinely amazed at how well they cast and retrieve. They also look great, which is such a significant prerequisite for modern carp anglers. 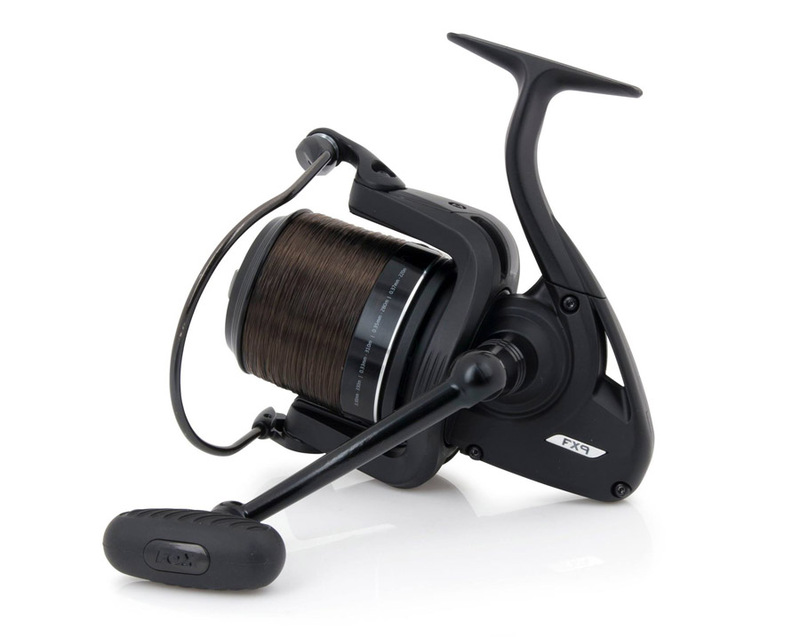 Daiwa’s modern tech, including Twistbuster, Airbail and Air Rotor combine with the short 25mm spool, free-spool ‘Bite N Run’ system and compact body to create a relatively small reel which is huge on performance, regardless of what size water you fish.